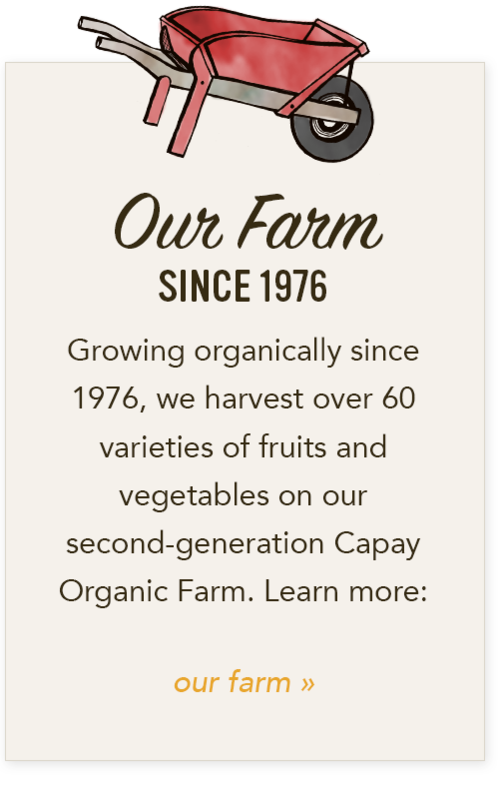 As early innovators in the organic farm movement, our parents, Kathy Barsotti and Martin Barnes, helped found the Davis Farmers Market in 1976. Recently named one of the top 10 farmers markets in the nation by USA Today, the Davis Farmers Market is still going strong and we're so very honored to be there every Saturday, year-round, 36 years later! 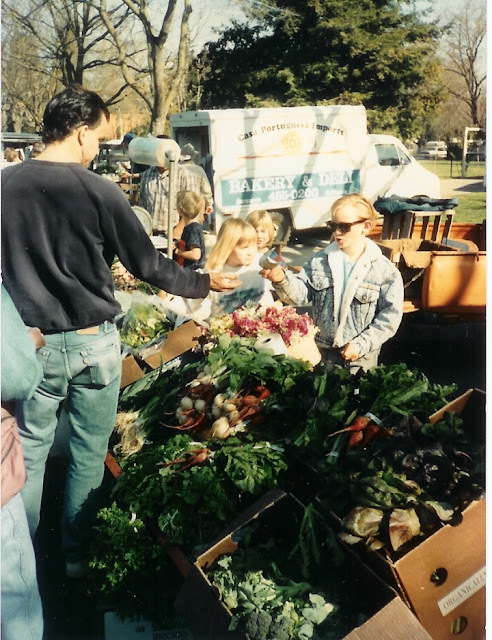 Learn the story of the Davis Farmers Market and help celebrate the food produced by contributing, local farms. The Davis Farmers Market Cookbook invites you to shop and cook through the seasons as the authors share cooking tips, culinary passions, market lore and history. 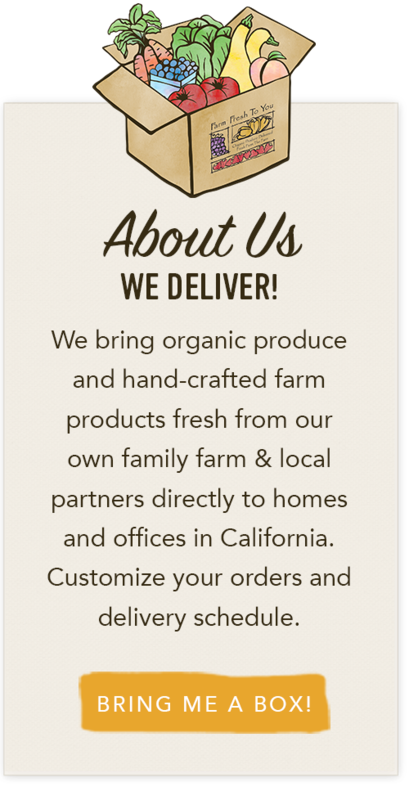 Let the glorious photos of vendors, food and farms entice you into a visual visit of one of America's favorite farmers' markets and to cook in rhythm with the land's bounty. "This book is a beautiful tribute to the people who have kept this market alive and vibrant for nearly forty years, with every recipe a little love letter to the farms who grow the ingredients." 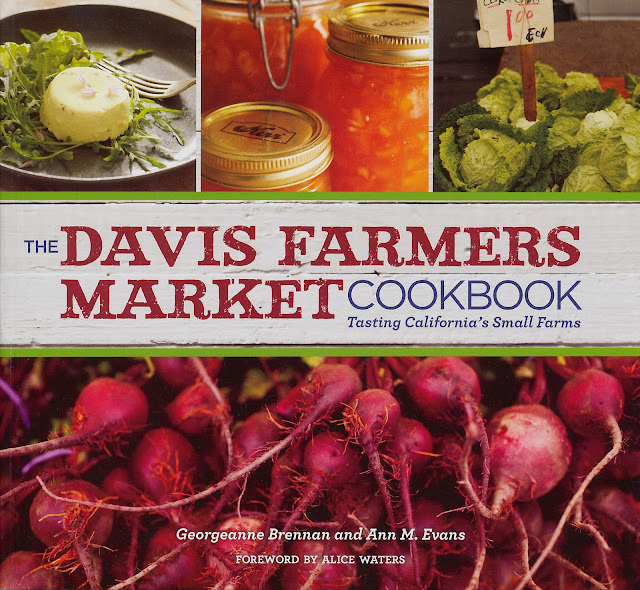 The cookbook is written by award-winning cookbook authors, Georgeanne Brennan, and former Davis Mayor, Davis Market founder and food activist, Ann Evans. Organized by season, the chapters include more than eighty-five recipes, from appetizers to desserts, plus a section of instructions for canning and preserving. In honor of the number of years the Davis Farmers Market has been an amazing part of our livelihood and community, we are giving away 36 copies of The Davis Farmers Market Cookbook! And, to add to the fun, we can't help but share a look back at our early beginnings at the Market and your farmer, Thaddeus. For a second chance to win, leave a second comment with a your favorite recipe, recipe link or serving suggestion. No purchase required. Limit two entries per person, please. Entries will close on Friday, June 1st, at 8:00 p.m. Winners will be chosen by Random Number Generator and announced on our blog on Monday, June 4th.